2010 was quite the year for the Palm faithful. Things may not have gone the way we’d hoped at the start of the year, but by and large it was an interesting ride. A lot happened in the past year, and despite all of it Palm has still come quite far. For example, the year started with 1,000 apps in the App Catalog, we’re now up over 5,000. webOS had just hit version 1.3.5, and Palm was an independent company with just the Palm Pre and Palm Pixi available. After the break, we take a long look back at the year that was 2010. 2009 ended with a New Years Eve push to get the App Catalog up to 1,000 apps. But it was the start of 2010 that we were looking forward to: CES was just a few days away. We weren’t exactly sure what to expect from Palm at CES 2010, and they didn’t disappoint. They showed off webOS 1.4 with video recording and support for Flash 10.1. Palm opened up their app feeds to all, and unveiled the new Palm Pre Plus with double the RAM and Palm Pixi Plus with the Wi-Fies for Verizon and SFR. Oh, and PDK development for natively-coded apps, available that very day. CES 2010 was full of news, and the year looked to be off to a good start. It didn’t take long for the Pre Plus and Pixi Plus to arrive on our doorstep for review. The differences between the Plus devices and their older siblings (soon to be dubbed the “minuses” by the community) were on paper on that different, but in practice made for a world of difference. For starters, double the RAM on the Pre Plus meant far more than double the app action. Blessedly, it didn’t take that long for the Pre Plus and Pixi Plus to launch on Verizon either, hitting shelves by the end of January. Certainly better than the six-month announcement-to-available window that we had to sit through for the original Pre. And then things took a turn for the sour: Verizon botched advertising hard for the Pre Plus. Assuming that they needed a counterpart to the masculine Motorola Droid advertising, they decided that the Pre Plus would be a good phone for moms. That’s not to say that it’s not, but really? In an effort to kick webOS app development into high gear, Palm announced a new Hot Apps competition that put a total of one million dollars onto the line. More than four hundred top apps, both free and paid, split the cash. The most downloaded free and paid apps each netted a $100,000 prize when the contest concluded in July. Soon thereafter, a second million dollar Hot Apps competition was launched, this time for PDK apps. Mid-January brought the news that Palm had shut down production of the just introduced Pre Plus and Pixi Plus. While the report was quickly squashed by Palm, saying that production had been shut down for the Chinese New Year, it was the first sign that things really might not have been as rosy as we would have liked. Then Google changed some seemingly innocuous requirements for Google Voice apps that shouldn’t have mattered a single bit to the end user. Unless you used webOS, in which case the star Google Voice app, gDial Pro, was rendered inoperable because there was no way for webOS to support what Google demanded. It likely wasn’t intentional, but it wasn’t the last time we’d see support for Palm evaporate. After some harsh downgrades and forecasts, Palm’s stock price dropped precipitously. In fact, by the middle of February Palm shares were worth less than half their value just five months earlier. That all reflected the reality of Palm’s situation: Apple and Android were enjoying tremendous success, while webOS devices accounted for less than 1% worldwide. But at least Epocrates had finally arrived, right? Ten months later, Epocrates announced that they were done with Palm. Palm admitted by the end of the month that things weren’t going so hot, going so far as to say that “fiscal year 2010 revenues to be well below” their previously forecasted targets. Any time a company comes out and says something like that, it means things are bad. The reprieve from doom and gloom brought to us by homebrew magics was quickly crushed by economic reality: Palm shares dropped a stunning 19% in one day. Palm and Verizon were struggling to get sales off the ground, admitting that Verizon’s sales reps were not well-trained to sell the webOS devices. Palm “Brand Ambassadors” were send to Verizon stores to train the staff, but the damage was already done. While the Pre Plus and Pixi Plus had hit Verizon in good time, it took nearly two months for Palm to finally push out webOS 1.4, though it wasn’t without its bugs. March came around and Palm brought manufacturing back online, but that wasn’t good enough for credit agency Standard & Poor’s, who turned their outlook on Palm to negative. Palm’s Developer Relations Team was one of the few consistently bright spots for Palm in 2010. First their was Hot Apps, and then they ate their own dog food in programming the excellent and continually-evolving Facebook app. After a few months in private beta with big name game developers, the native-coding PDK was opened up to public beta. The floodgates opened shortly thereafter to the native app revolution. Shortly thereafter, the App Catalog topped 30 million downloads. Palm even managed to get a Developer Purchase Program up and running, giving developers 20% off the list price of an off-contract (but carrier-locked CDMA) phone. Homebrew developers had been tinkering with the webOS kernel for some time, but it wasn’t until mid-March that the real breakthrough was made. First they got the Pre running up to the 600MHz speed the chip was designed to handle, with teasing of overclocking to a blistering 800MHz. By the end of March, 800MHz was a reality for the homebrew public. Palm, of course, had to say that they didn’t recommend it, though we’ve yet to see a rash of Pre phones baked into brickdom. A full 1GHz overclock came in late August. The Sprint launch didn’t go as well as Palm had hoped. Neither did the Verizon launch. But Palm wasn’t about to give up, and launched a new series of ads and a tagline (Life moves fast, don’t miss a thing) to help shore up sales. But they knew the outlook was grim, CEO Jon Rubinstein admitted that the fourth quarter for Palm would simply not be good, and that he believes the Pre Plus would have done much better on Verizon if they’d launched before the Droid. Except that, due to Sprint’s exclusivity, they couldn’t. The third quarter 2009 results for Palm were announced in mid-March (don’t ask us, it’s a strange fiscal calendar), and as expected, it wasn’t good. Palm shipped less than a million devices, and fewer than half of those were actually sold to customers. The next day investors did not take kindly to the news, sending Palm shares down another 29%. The Pre Plus and Pixi Plus were announced at the end of March to be coming to AT&T in “the coming months,” a phrase we’d learn to love and loath in the coming months. And then things started to get weird. A rumor circulated that Palm would be dumping webOS for Android, but keeping the webOS cards interface and grafting it on top of Google’s OS. Needless to say, we didn’t believe it, and unsurprisingly, it didn’t pan out. With Palm’s stock price still falling, we began to wonder, what might Palm have that another company would want? Certainly not a huge customer base, and while webOS was clearly nice, they were having trouble making the case to the consumer. Patents, however, it turns out Palm had plenty of. Including some doozies like "Integrated Handheld Computing and Telephony System and Services," i.e. smartphone. webOS 1.4.1 landed to wrap up March, bringing plenty of bug fixes to the mix. Most importantly, it opened up the paid App Catalog to locales outside of the United States. Late spring found Palm’s stock in the toilet and the analysts were circling like sharks coming in for the kill. Rumors of a potential buy-out began to swirl, with names like RIM, Lenovo, HTC, and Huawei being tossed around. Reports even came out that Palm was shopping itself to potential buyers. 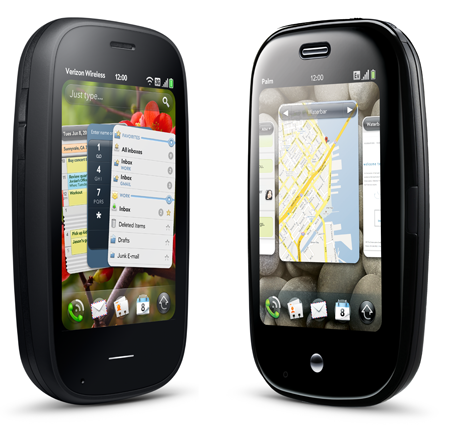 Apart from selling the company, Palm was reported to be considering options like licensing webOS. Documents To Go had been a mainstay on Palm devices for years. They were a launch partner for the original Pre, and their Word and Excel viewer app had been a part of webOS since launch. But their development of a full-featured document-editing solution? That wasn’t going so hot. In fact, it was cold. DataViz announced at the end of April that development for webOS was “at a standstill” due to an apparent lack of “necessary collaboration with the device manufacturer that is required to bring an app like ours to a platform like webOS.” Ouch. It took until September for DataViz to finally pull the plug on Documents to Go for webOS. Their exit was less than graceful, and filled with a lot of spite. Thankfully, the folks at QuickOffice were there to fill the void, providing the reader software in webOS 2.0, and promising a full editing suite. We can’t say we saw this coming. HP, a company never mentioned in the rumors surrounding a possible Palm buyout, stepped in on April 28th to announce their $1.2 billion acquisition of Palm. HP had big plans for Palm, specifically, big plans for webOS, including but not limited to tablets and printers powered by webOS. It wouldn’t be until the first of July that HP completed their purchase of Palm. Turns out that there were actually four other unnamed companies in the running, but in the end HP was the only one. Palm always had a cozy relationship with Sprint and a warm one with Verizon, but AT&T always seemed kind of distant. That got better in mid May with the Pre Plus finally coming to AT&T’s network. It took a few more weeks, but eventually the Pixi Plus came to AT&T as well. With Palm headed to HP’s cozy warm cash-stuff bed, you’d think that there wouldn’t be a staff problem, right? Wrong. Matias Duarte left for Google, Rich Dellinger moved to Apple, Mike Abbott went to Twitter, Lynn Fox joined uStream, Ben Galbraith and Dion Almaer stepped back to consultant status, David Temkin switched to AOL, Mike Bell was hired by Intel, and Peter Skillman is now employed by Nokia. Palm at least managed to snag Ari Jaaski, formerly of Nokia, to head webOS development. HP received customary anti-trust clearance from the SEC to purchase Palm. And then HP CEO Mark Hurd whipped the Palm community into a tizzy with this line: “We didn’t buy Palm to be in the smartphone business.” He clarified a bit by saying that HP’s all into connected devices, a category they see as including smartphones, but we couldn’t help but be a little concerned. That wasn’t enough, so HP just came out and said it: they’re going to continue to make webOS smartphones. That enough? Yes. In an effort to boost App Catalog sales, and thus make some dough for developers, Palm decided to run a half-off sale. To make it better, they still gave developers the 30% cut they would have gotten at full price. The sale ran all the way through July. To further garner developer interest, Palm permanently vanquished the App Catalog submission fee, and even refunded the submission prices of all previous apps. And then they dropped the $99/year App Catalog developer membership fee. Developing for webOS now only takes a developer’s time. And a computer. HP’s CTO of Gaming Rahul Sood got in on the action too, encouraging game developers to “get in on the ground floor” with webOS. It all started with a trademark filing in July, followed by a rumor about pen input. Early August brought a report from inside HP that a webOS tablet would be launching in the first quarter of 2011, which HP officially confirmed a week later. Unsurprisingly, the Palm tablet is destined to be somewhat like the iPad, though we imagine there will be some differences. Palm is rumored to have placed an order for 6-7 million tablets from Inventec for 2011, though, like all rumors, we recommend salt. Analysts, however, only seem to be speculating on the date, with the general consensus being March 2011. It also apparently will have a slick Bluetooth keyboard accessory. HP surprised us by buying Palm, and just when we were getting settled in, they went and forced CEO Mark Hurd to resign over falsified expense reports and sexual harassment allegations. Oh, the drama. Hurd left with a $30 million severance package, and after HP’s stock took a hit some shareholders decided to sue. Hurd ended up with buddy Larry Ellison over at frienemy Oracle, a move that ticked off HP to no end. Eventually they made nice, with Hurd giving back is $30 million and HP backing off the whole lawsuit thing. Still, HP was without a CEO. How about Apple’s Tim Cook? No. The end of September finally brought us HP’s new CEO: Leo Apotheker, formerly of German software firm SAP. We’ll admit, at first we were a little concerned, but he’s grown on us. We had something to put here, but we were too busy flinging enraged avian projectiles at malevolent porcine fortresses. Early October brought us the P102 smartphone, at least that’s what the FCC called it. Cleared in both GSM and CDMA varieties, we learned that the phone was a slider with a 1GHz processor, and a design similar enough to the current Pre and Pre Plus to use the same Touchstone back. It was SFR that spilled the beans, revealing the phone to be the Palm Pre 2. The Pre 2 came with the previously-discovered 1GHz processor, a refined case, and a glass screen, apart from that it was a very similar phone to the current generation Pre devices. It took HP a few days to finally announce the new device and formally unveil webOS 2.0, now HP-branded. There were a few extra goodies not seen in the preview, like Skype for Verizon and Flash 10.1 for everyone (except Pixi owners). The Pre 2 was headed to Verizon, somebody in Canada (Rogers, eventually), SFR, and unlocked to developers. We’re still wondering when it’s actually going to launch on Verizon, but you can buy an unlocked GSM Pre 2 directly from HP, on which developers get $200 off. Unannounced, however, was the removal of the old school Palm OS ROM from webOS 2.0. Motion Apps, the makers of the Palm OS emulator Classic, took pretty great offense at the removal, understandably, as they weren’t given any warning that their app would no longer be possible. Thankfully, the homebrew community wouldn’t let that stand, and figure out (at least hypothetically) how to get Classic to work on webOS 2.0.
webOS 2.0 was available if you were willing to buy a Pre 2, assuming that you lived in France. The folks at WebOS Internals would have nothing of it, and set about to do the unpossible: hack webOS 2.0 together with 1.4.5 and make it run on current generation hardware. So far they’ve made limited progress, and the process is not for the faint of heart. Thankfully, it might not be too long. We got a look at some screenshots of webOS 2.0 running on a Sprint Pre, and it had voice dialing! Additionally, we got a glimpse of webOS 2.0.1 on a Bell Pre, with Exhibition looking all kinds of stylish. Nearly eighteen months after it launch on Sprint, the original Palm Pre received end-of-life status. Palm held a developer weekend earlier in the year, and HP decided that they wanted one this fall in New York City. Attendees (and by extension, PreCentral readers) got a preview of Preware 2.0, our first look at Exhibition, and a sample of the next-generation Enyo app framework. Palm was even cool enough to post videos of every presentation online. While we were there, we watched live as Rod Whitby of WebOS Internals hacked a Pre 2 together with a Sprint Pre to make a Sprint FrankenPre 2. Yeah, that’s a lot. And really, that’s not the half of it. 2010 was an upside down year for Palm, but 2011 is literally upon us. The competition brought their game in 2010, and it’s only going to be tougher for HP and Palm in 2011. Do they have what it takes? We’re going to find out. But we don’t suspect it’s going to be a CES. HP has promised great new products for 2011, including new webOS phones (possibly to include a Pixi 2), as well as the PalmPad tablet. We wouldn’t count on any webOS printers in 2011, but webOS 2.0/2.0.1/2.1 is all but assured. We’ve seen some hints of what’s to come in codenames like the broadway, mantaray, and windsor, and we’re hoping that Palm took some idea from the excellent entries in our “Mock up the next Palm device” contest, and if they want to read up on some of our rants, that’s cool too. 2011 is poised to be an even more fascinating year in the mobile sector than 2010 was. And we can’t wait.